Not for the faint-of-heart. A recipe is given in a following episode; absinthe and milk; but the proportions are up to you. 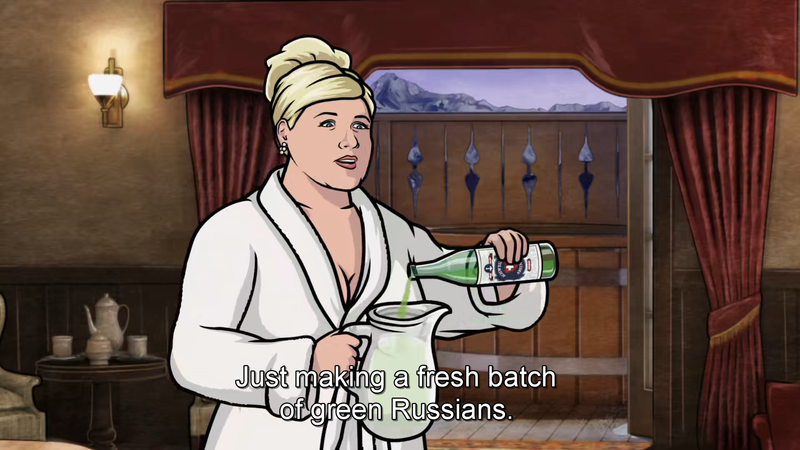 There is also a recipe given in the official Archer lifestyle/cocktail book, but my version doesn’t use as much ice. Pam’s measures are not recommended.